Get out your compass and unfold your maps because we’re giving you a chance to win some cool prizes when you hunt down Button Brew House beer around town. All you have to do is order Button beer at four separate locations: Button Brew House (that’s us! 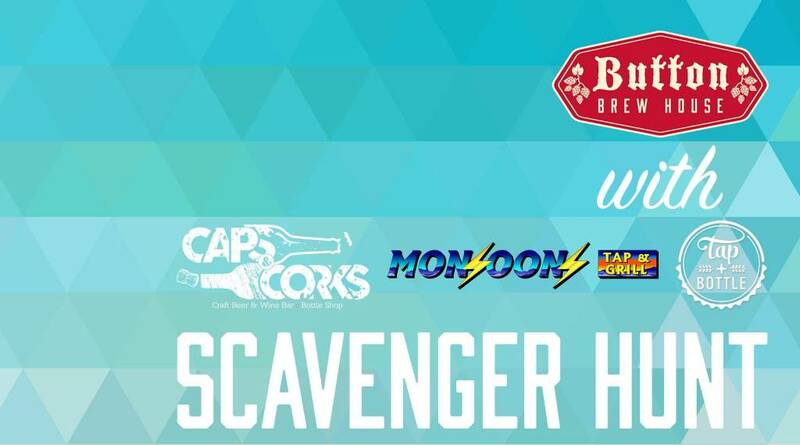 ), Caps & Corks, Monsoons Tap & Grill, and Tap & Bottle North. Between Feb 7-16 just take a picture of each Button beer and post it on social media or leave a five star review for each establishment. Use this card to record your activity and drop it back off to Button Brew House when you’re done. Once you complete the challenge you’ll receive $5 off at each of the four locations. Celebrate AZ Beer Week the best way, by supporting local businesses and drinking great beer from Button Brew House. Good luck and happy hunting!